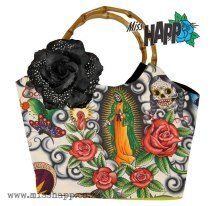 Miss Happ Rockabilly and Pin Up Clothing: Shop Miss happ online! My little Etsy store has been going for just 2 years and sales have climbed steadily which is exciting and very encouraging! 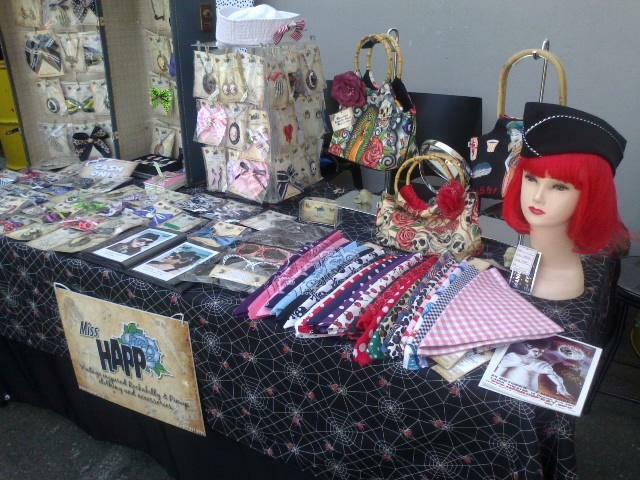 I started off with only my Rockabilly and pin up style clothing, but eventually branched out into hair accessories, bandanas, jewellery and now I make rocking printed handbags too! I also do a small collection of cushions and coffee table coasters for the home, so my little Etsy store really has almost EVERYTHING for a Rockabilly girl! 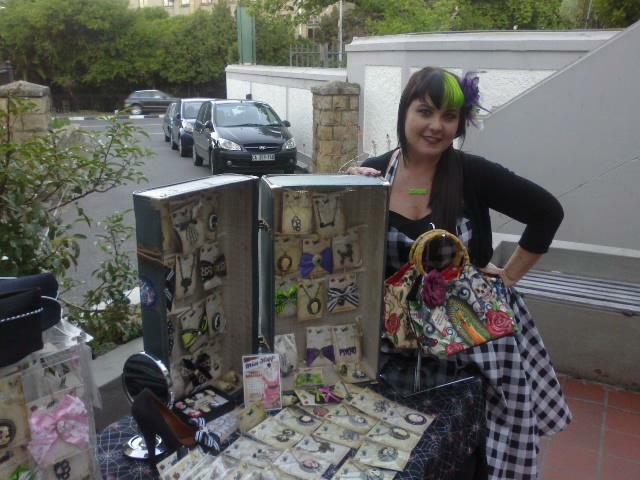 I still have a very small set up with me making the jewellery and accessories, and my (one) seamstress sewing up all the clothing & hats that I myself design. It got to the stage where I literally couldn't keep up with the demand, so now I also have an assistant who works with us 3 days a week to help streamline everything. 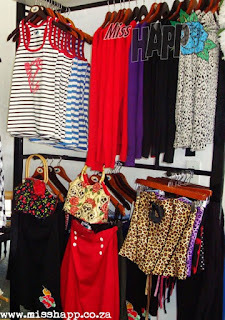 Because I am a little self-funded, self run business, all my items are either one-offs, or with the clothing, are usually 1 of sometimes 5 or 6 items which makes the range a very unique designer range indeed. 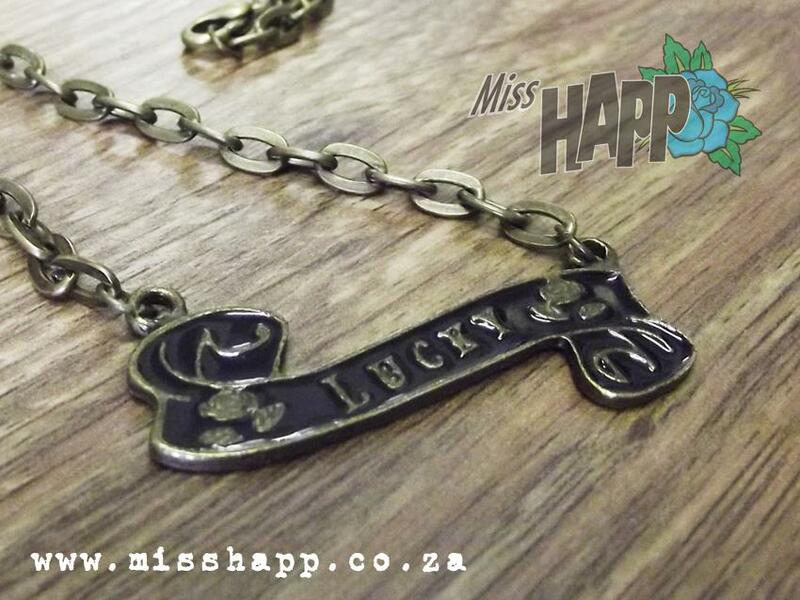 Sometimes I am also able to make kustom pieces too which is always exciting and very gratifying. We have done a few wedding hair accessories as well as cute shoe bow clips for a bride and her bridal party..to Rockabilly dresses and birthday presents for deserving girlfriends! I try and do as many markets and shows that are specifically related to what Miss Happ is all about, with the most recent one being Horrorfest which was so much fun. 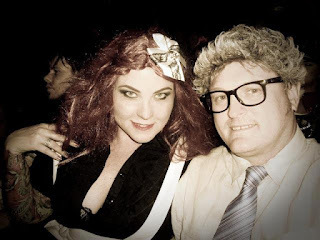 I even got to dress up on the final closing night of the festival when we attended an Audience participation Rocky horror Movie screening. My BEST! 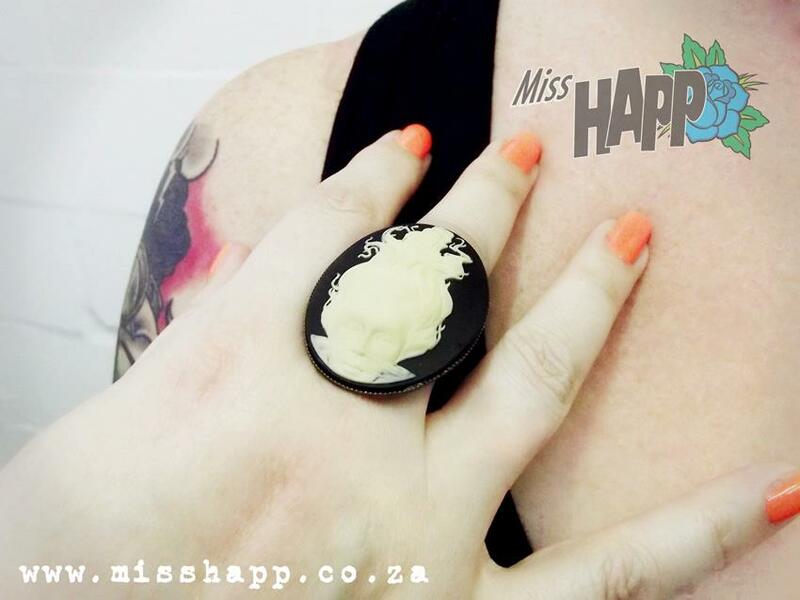 So, if you love what I do and what Miss Happ is all about make sure you check us out..